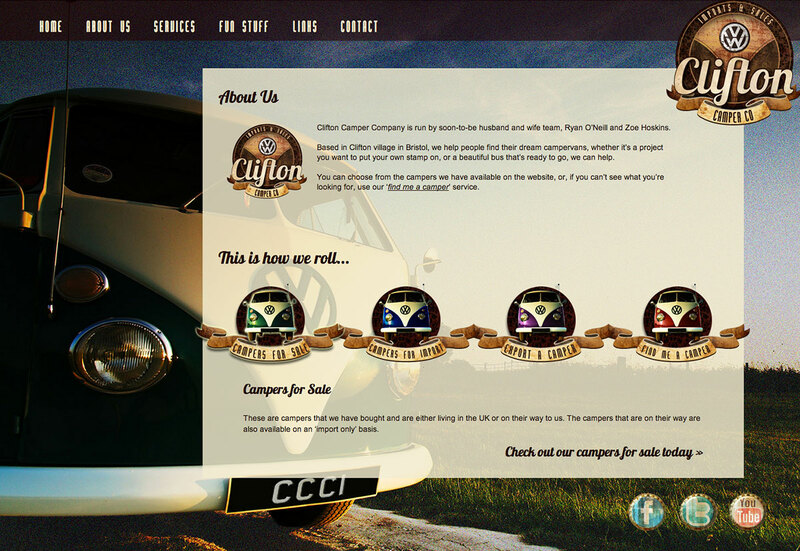 Clifton Campers wanted a website that didn’t look like a website… they didn’t want boxes everywhere, they wanted the site to be warm, friendly and inviting, and to convey the very personal service that they provide. To do this we started by making a movie poster and adding in the website elements. 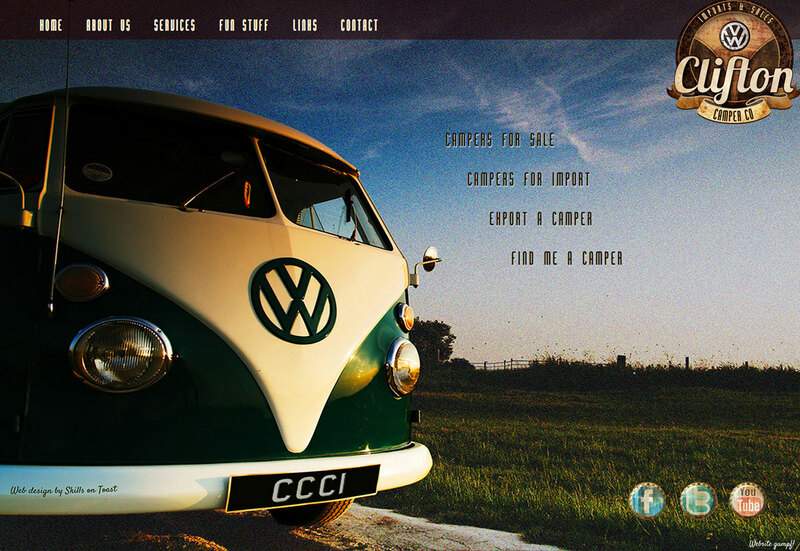 We found a really strong VW campervan image and used it as a focal point throughout the site. 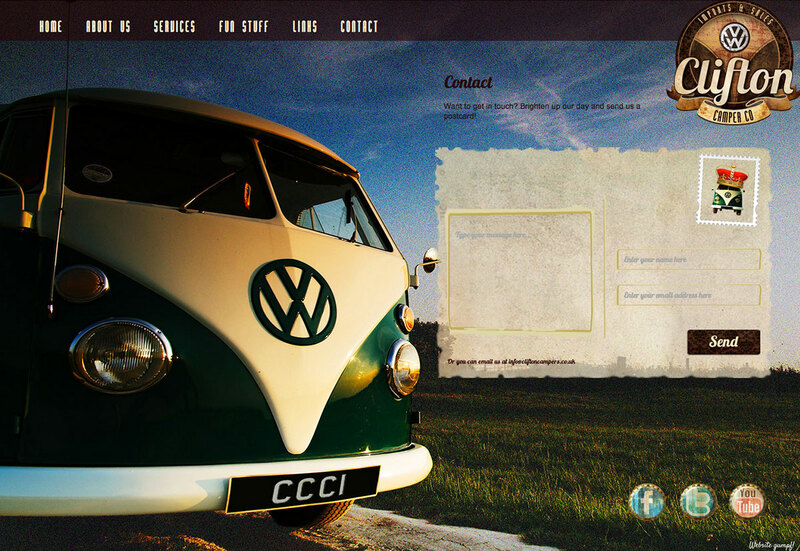 For the blog we used a different layout incorporating elements from the company logo, and for the contact us page, rather than a standard contact form, we created a campervan postcard to allow people to get in touch. SOTO, and especially Zoey, were no end of help to our business. They took up the challenge we set and came back with loads of ideas, new suggestions and directions for our website and a FANTASTIC website design. 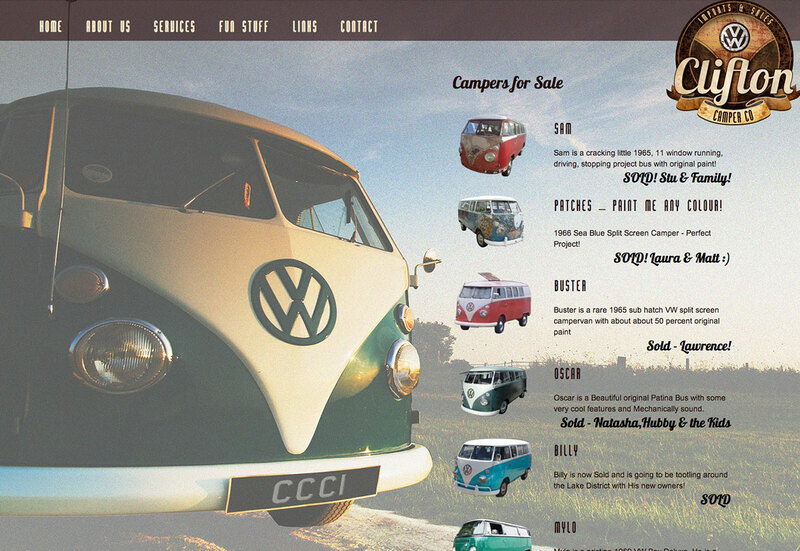 We had the team design and build a bespoke website for us from scratch, with some open but very strict perameters. 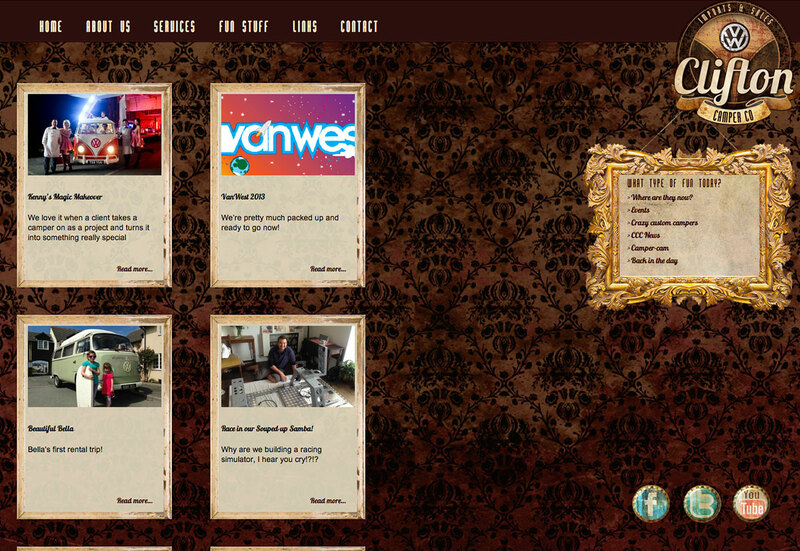 We wanted a flowing, quirky website that was also professional and fresh. We also asked for it to display full screen on every size screen possible due to the full screen background. We wanted something a little out of the norm. They worked through all of these frustrations we must have put on them with utmost professionalism and nothing was too much of a bother for them. The result is a fantastic, slick and balanced working website. (I’m very fussy as you can tell!) We will be using SOTO for all of our future web based work. We have also taken up an SEO & website maintenance packages that have zoomed our new site up to page 2 already, from page 29, so I’m pushing them for page 1 now! I’m sure it wont take them long.